KLASSIKER !!! 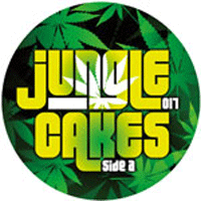 - For this release on Jungle Cakes, the main man Ed Solo has teamed up with the maestro of all things funky, Stickybuds. First up ‘Smoke The Weed’ combines super phat rolling basslines, ragga style stabs and atmospherics and a wicked steppy break that makes you want to get up out of your chair and dance ’til sunrise and beyond. The two join forces again for the second track, Joker Smoker, which is a sublime slice of funky, jazzy business. It’s all there, stompin’ beats, ragga/dub elements, big chunky bass, incredibly catchy horns and “Joker Smoker” vocals on the hook and they come together beautifully to produce an absolute winner of a tune all round!